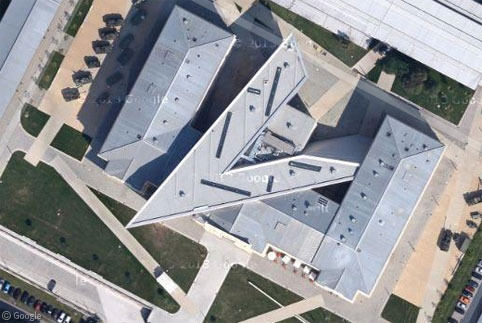 Daniel Libeskind is an American architect known for his bold and unconventional designs for buildings which often significantly (and controversially) transform the locations where they are constructed. His striking creations often feature extreme geometry and complex gravity-defying shapes, with external coverings of glass or technologically advanced materials. 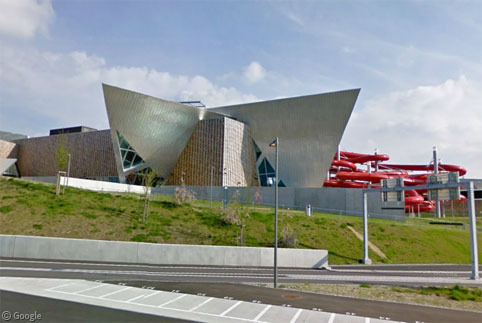 A prime example of this is the 2006 addition to the Denver Art Museum. 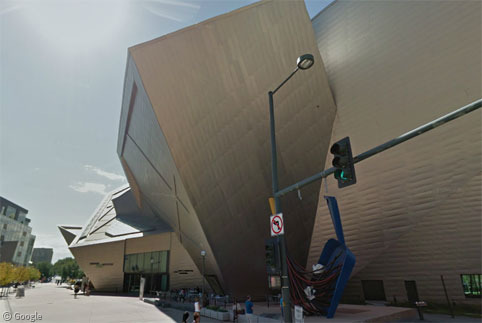 Inspired by the lofty peaks of the nearby Rocky Mountains, the Frederic C. Hamilton building consists of 20 unique angular planes supported by an internal structure of over 3,000 steel beams. The exterior walls are made up of hundreds of thousands of square feet of titanium. 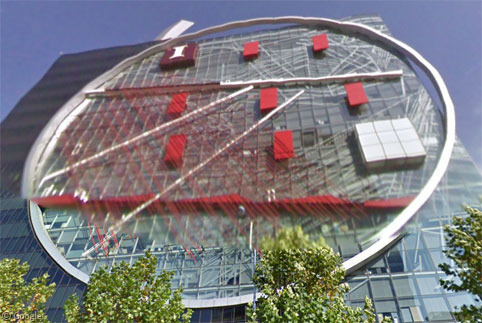 Such extreme designs understandably elicit mixed reactions from other architects, the media, and the general public. Visitors and nearby residents are challenged by structures which are far beyond the form they are used to, particularly when these extreme modern designs are attached to historic structures. 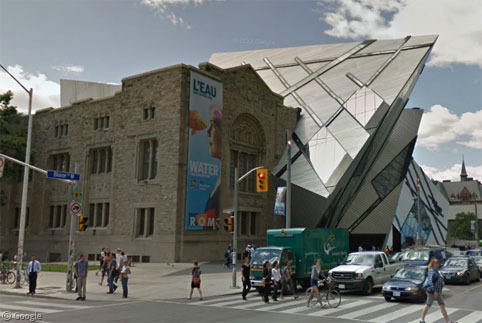 This was the case at the Royal Ontario Museum in Toronto, where the original century-old stone Italianate building was taken over by the Michael Lee-Chin Crystal, designed by Libeskind. 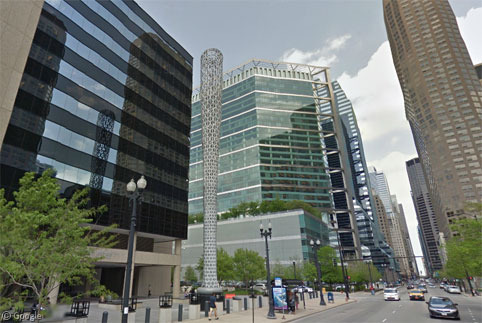 Its construction was met with sharply divided criticism and praise. The complex structure of the Crystal has led to weather-related problems. Leaks were discovered soon after it opened, and precautions have to be taken to ensure that dangerous snow accumulations don’t cascade off the glass and aluminium cladding onto the pavement below. 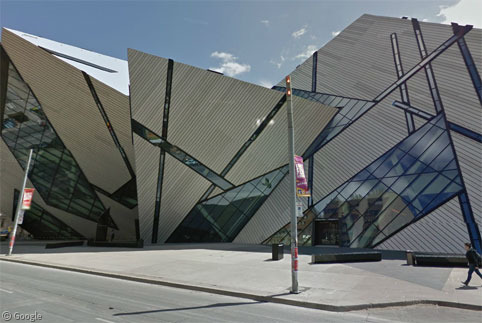 Similar issues have been reported at some of Libeskind’s other buildings. 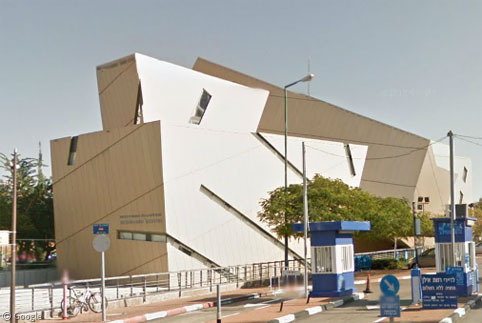 Libeskind is of Polish Jewish descent, and he has worked on a number of buildings related to Judaism, World War II and military history. One of his earliest commissions was for the Jewish Museum in Berlin, which takes the form of a reconstructed Star of David. Interior and exterior elements are intended to represent the realities of Jewish life in Germany. The zinc-coated exterior will slowly change appearance over time. 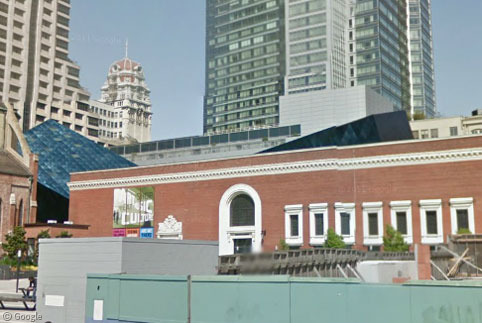 He also designed the Contemporary Jewish Museum in San Francisco – where the blue stainless-steel cube contrasts strongly with the historic building it connects to – and the interior of the Danish Jewish Museum in Copenhagen. Another old-meets-new juxtaposition can be found at the Bundeswehr Military History Museum in Dresden, where a transparent arrowhead juts out of the original Armory building which dates to the 1870s. 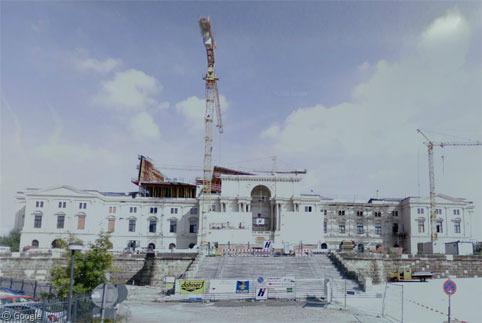 The addition, shown under construction on Street View is intended to represent openness and democracy. 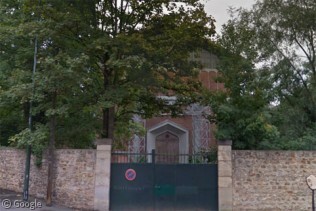 It was part of a redevelopment of the museum which was closed following reunification because of its dark past, which included a time as a Nazi museum. 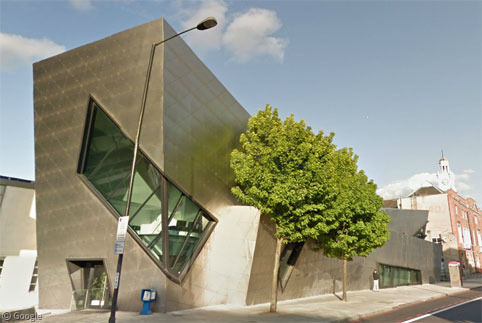 It is now the largest museum in the country, presenting military history from a current viewpoint, and includes a viewing area overlooking the city devastated by British firebombs. 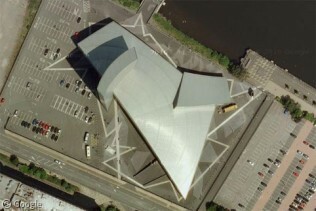 In Manchester, the Imperial War Museum North consists of three interlocking shards – representing parts of a globe shattered by conflict. 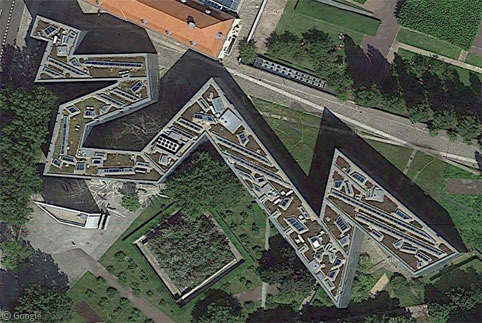 Not all of Libeskind’s commissions are for museums – he has created a number of residential, commercial, academic and other buildings, with many more currently under construction or in planning phases. 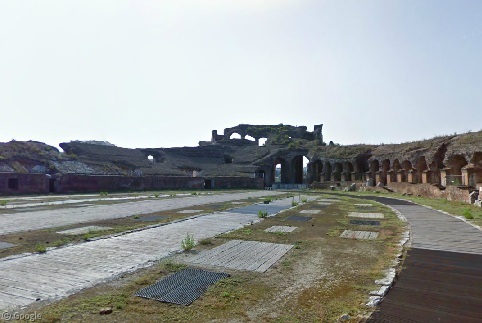 We’ll take a brief look at a few of his other structures, in rough chronological order of their completion. In Bern, Switzerland – the Westside Shopping and Leisure Centre. No word on whether he designed the water slide! In London – the Metropolitan University Graduate Centre. The Wohl Centre at Bar-Ilan University in Israel. In Seoul – the facade of the Hyundai headquarters. 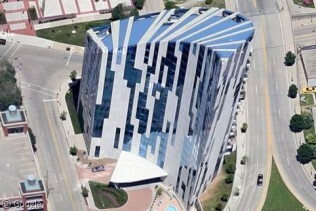 In Covington, Kentucky – the Ascent residential building. 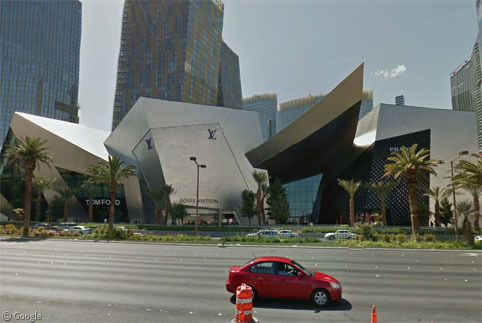 In Las Vegas – the CityCenter building at MGM Mirage. 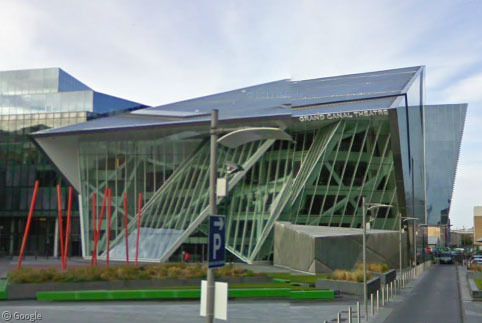 In Dublin – the Grand Canal Theatre. Libeskind was selected to oversee the master plan for the redevelopment of the World Trade Center site in New York, including the new commercial towers and the 9/11 memorial, though the actual design work was mostly done by other firms. He also designed a 9/11 memorial located in Padua, Italy – a structure representing an open book with a facade resembling the twin towers. 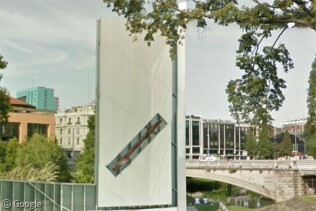 It is believed to be the only 9/11 memorial in Europe to include an item from Ground Zero1 – a large metal beam removed from the wreckage and originally displayed at the 2002 Venice Biennale. 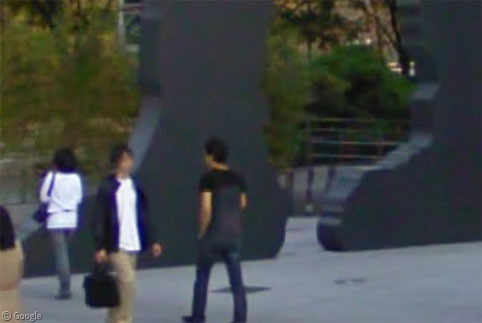 For more on Daniel Libeskind’s work visit his studio’s site or Wikipedia.